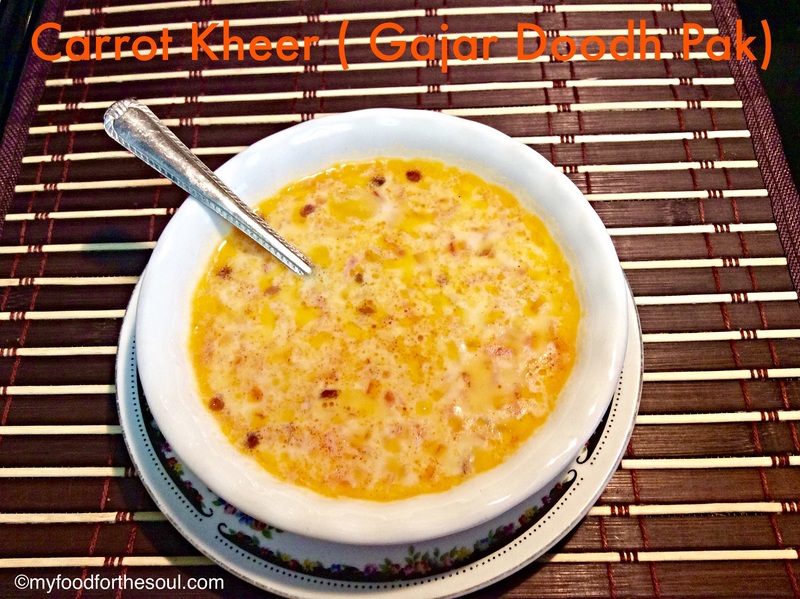 Carrot Kheer also known as Gajar Dhoodh Pak in Gujarati. Dhoodh Pak is a semi-thick dessert which is made with the goodness of whole milk. Grated carrots are sauté in desi ghee (clarified butter) and simmer in milk for a while. The added touch of cardamom, almond, pistachio, charoli (chirongi nuts) and saffron gives the complete royal feeling. Dhoodh Pak is part of the dessert family it’s known by many different names like “rice pudding” or “kheer”. The name is originated from Gujarat….it’s a popular dish made in many households and also during festivals, weddings or even when fasting. Dhoodh Pak is a very tasty and fulfilling dairy dessert ..it’s made with milk that is slow-boiled till thickened and sweetened with sugar and is garnished with chopped nuts. I feel blessed and extremely lucky that I have many of the Indian fruits and vegetables available to me all the time. I have heard many people tell me that they have not heard or seen an Indian carrot …and they always ask me the difference between an Indian carrot and a North American carrot. 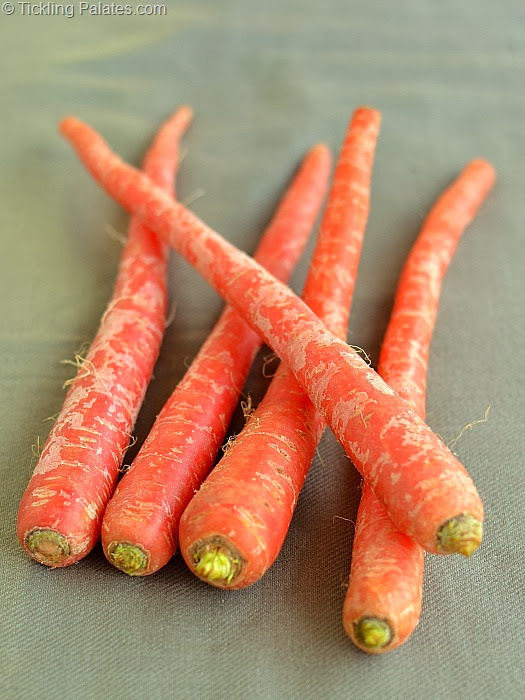 Well ….. Indian carrots have a beautiful vibrant red color on the inside ….they also taste sweet, the only thing that is not always appealing about the Indian Carrot is the exterior …it’s not always pretty. When on the other hand North American carrots have many different varieties, their exterior is usually nice, clean, smooth blemish-free. Many times stores sell pre-packed carrots …which will also have over-sized carrots with tough centers. While in season, I like to use Indian carrots for a lot of my dishes, desserts, smoothies or juices. That is exactly what I’ve done in this “Carrot Kheer – Gajar Dhoodh Pak” instead of using the traditional rice …I’ve substituted with vibrant red Indian carrots. If you enjoy delicious and yummy desserts also be sure to check out these recipes: Mast Mango Kulfi, Eggless Chocolate Cupcake with Buttercream Frosting or Dry Fruit Til ke Ladoo. 1. 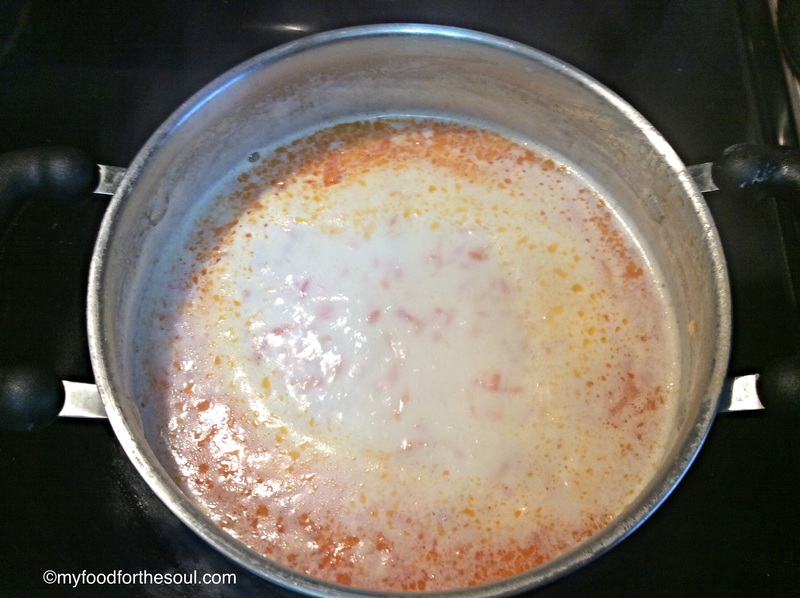 On medium heat add ghee into a deep pot or non-stick pot and let it warm up. 2. 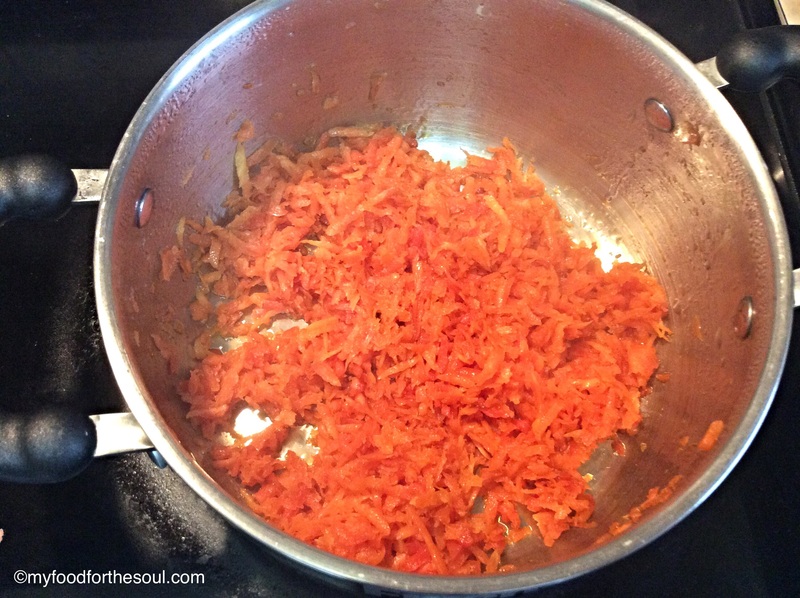 Then add in grated carrots, stir and let it sauté for 10 mins. Stir it occasionally. You should see the carrots starting to cook. 3. Pour the milk into the carrots and stir. Let the milk boil over medium heat, and stir it occasionally. 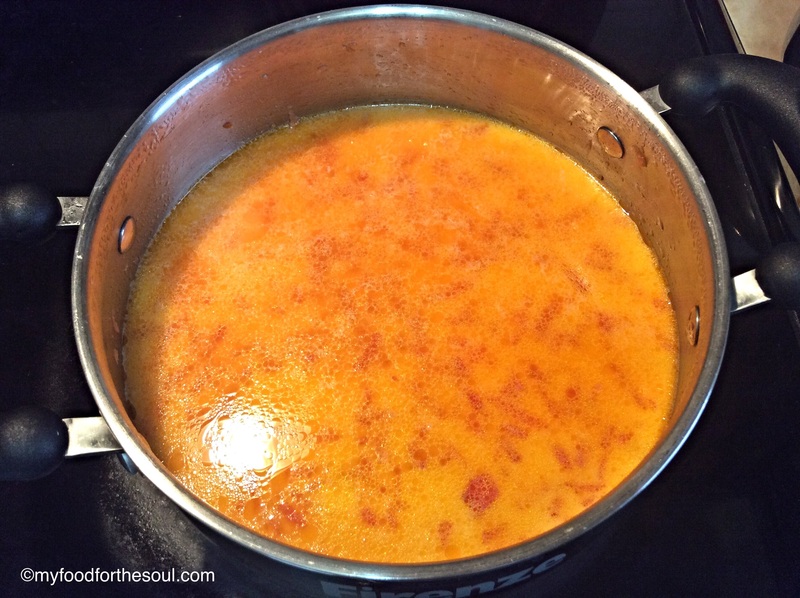 When it comes to a boil, lower the heat and let it simmer for about 30 mins. ***Make sure you stir it frequently to avoid getting the milk burnt at the bottom. *** Very Important! 4. Add sugar and let it simmer for another 5 mins. By now the milk should have become slightly thick. Add in the cardamom powder, saffron, charoli and the silvered almonds and pistachios. Mix well. 5. On low heat, let it simmer for another 5 mins. so all the flavors mix in well and saffron releases it beautiful color in the hot milk. 6. 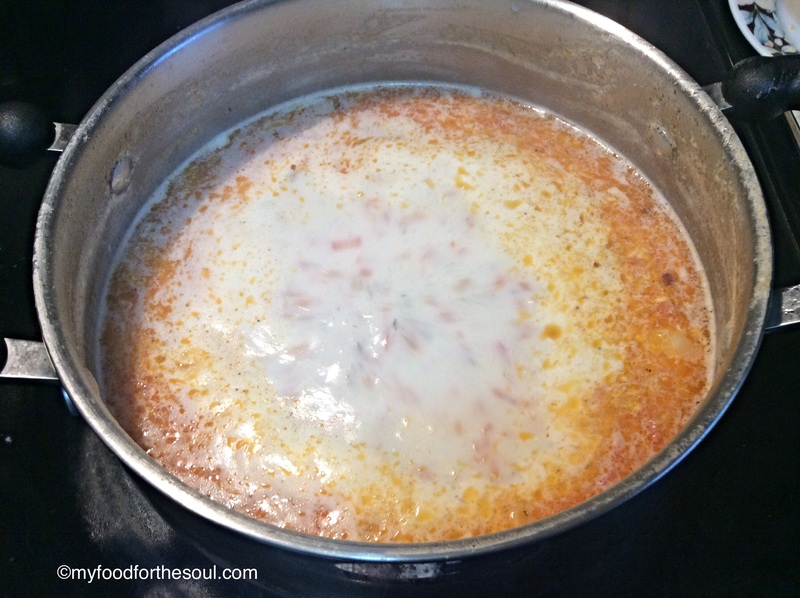 Carrot Kheer – Gajar Dhoodh Pak is ready ! Serve immediately or refrigerate to cool. 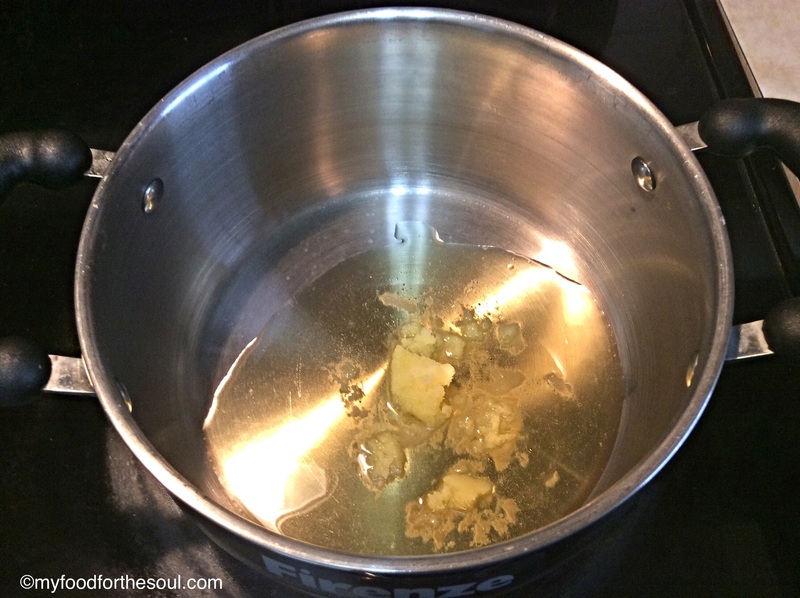 On medium heat add ghee into a deep pot or non-stick pot and let it warm up. 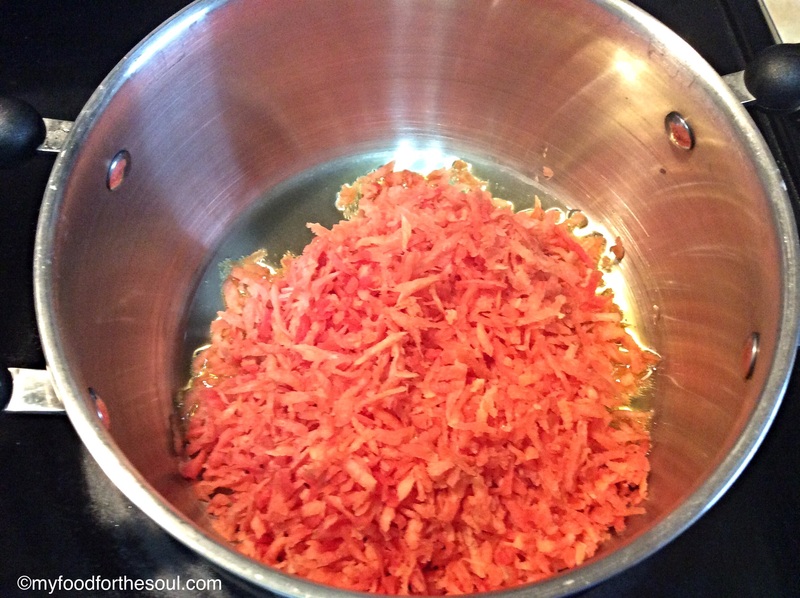 Then add in grated carrots, stir and let it sauté for 10 mins. Stir it occasionally. You should see the carrots starting to cook. Pour the milk into the carrots and stir. Let the milk boil over medium heat, and stir it occasionally. 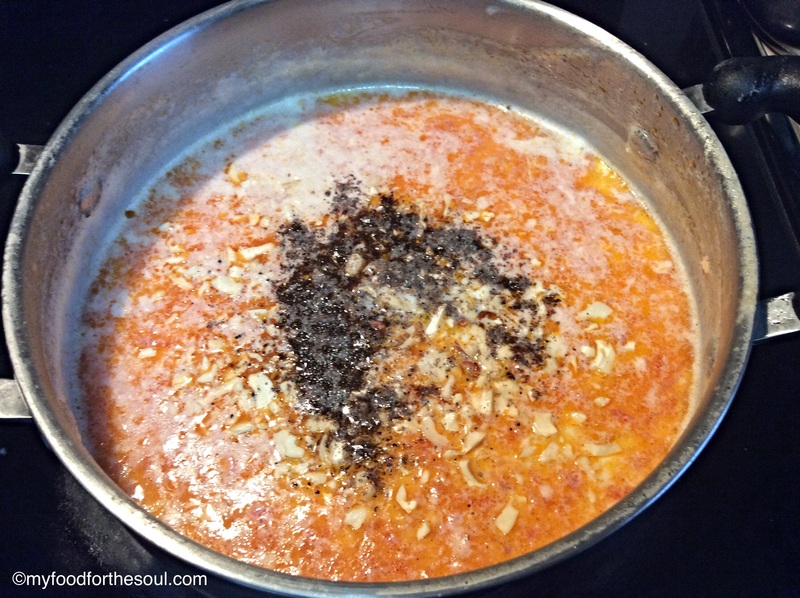 When it comes to a boil, lower the heat and let it simmer for about 30 mins. ***Make sure you stir it frequently to avoid getting the milk burnt at the bottom. *** Very Important! Add sugar and let it simmer for another 5 mins. By now the milk should have become slightly thick. Add in the cardamom powder, saffron, charoli and the slivered almonds and pistachios. Mix well. On low heat, let it simmer for another 5 mins. so all the flavors mix in well. Carrot Kheer - Gajar Dhoodh Pak is ready ! Serve immediately or refrigerate it to cool. Some people prefer hot doodh pak, but my family likes it warm. Choice is yours. I prefer using 2% milk less fat for this recipe. You can use full fat milk as it makes the doodh pak, nice and thick and rich. Less fat milk also taste great. Some people don't really like thick dhoodh pak in that case simmer milk only for 20 mins. Adjust the amount of sugar and elachi according to your taste. I love this alot :)and this is mouth watering .. Thanks Kushi! It’s one of my favorite desserts also.